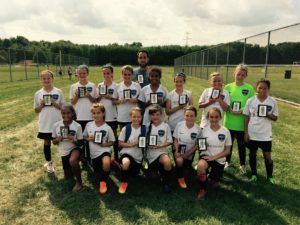 Congratulations to the CSC 06 Girls Gold team for being the runners up at the 2017 Dog Days of Summer Tournament in Milford, Ohio. The team was 3-0 in group play scoring 16 goals while only conceding 3. They played the ISC Tigers in the finals. The season is certainly looking bright for this team.